1 bottles each from the 2005, 2006 and 2007 vintages. 2007 Vintage: Primary fruit aromas of black cherries, cassis, and blueberries and with back notes of anise, sandalwood and tobacco. In the mouth, it is rich and bright and reinforces the impression of ripe fruit. The finish is dark and brooding with muscular tannins and lingering minerality. Definitely a vintage that will reward aging. 83% Cabernet Sauvignon, 11% Cabernet Franc, and 6% Petit Verdot. 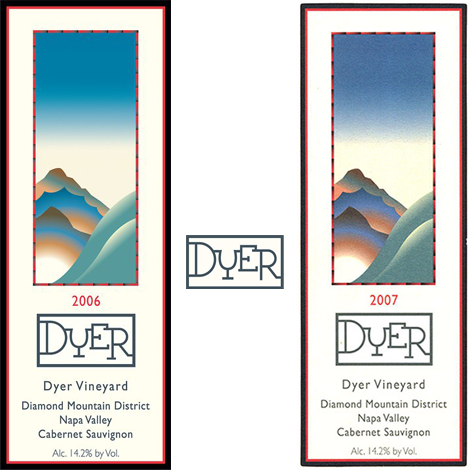 2006 Vintage: With aromas of cassis, blackberries, and black cherries underscored with lavender, tobacco and a hint of graphite, the 2006 Dyer Vineyard Cabernet Sauvignon is a wonderful example of our Diamond Mountain fruit honed and polished to perfection. Immediately accessible on the palate with concentrated dark fruit supported by a classic minerality and supple, muscular tannins. 83% Cabernet Sauvignon, 11% Cabernet Franc, and 6% Petit Verdot. 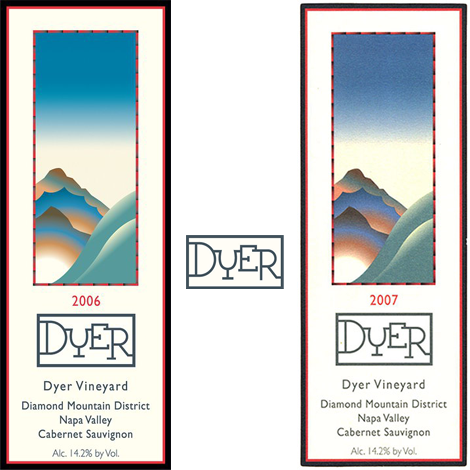 2005 Vintage: Primary fruit aromas of black cherry and currents with notes of graphite, anise and cocoa. A big wine; finely structured with great minerality and supple, muscular tannins. The blend is 83% Cabernet Sauvignon, 11% Cabernet Franc and 6% Petit Verdot. After 20 months in barrel, the wine was bottled in August 2007.